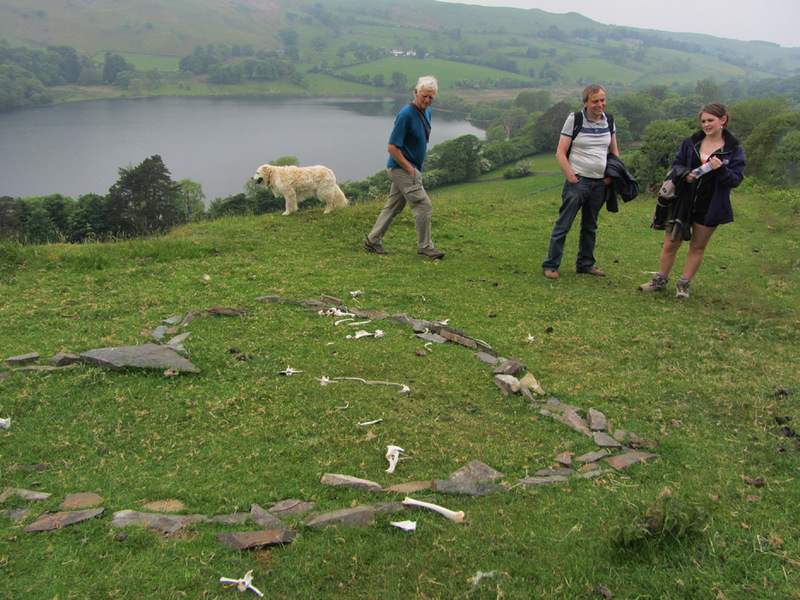 " Darling Fell with the Willshers "
Date & start time: Monday 10th June 2013, 2 pm start. 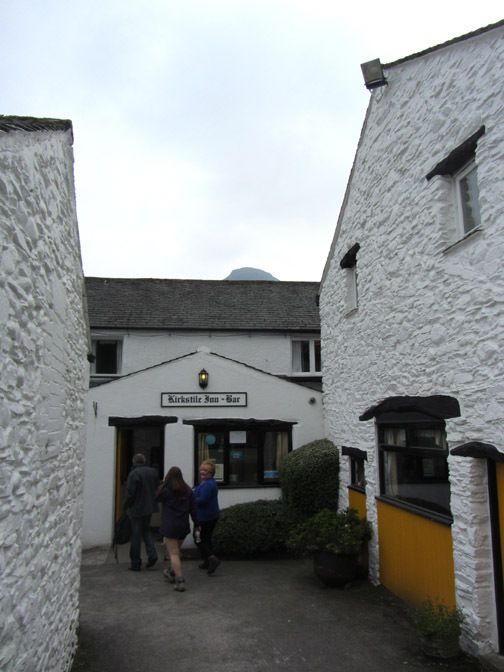 Places visited : Mosser Road, Darling Fell back by the old quarry. 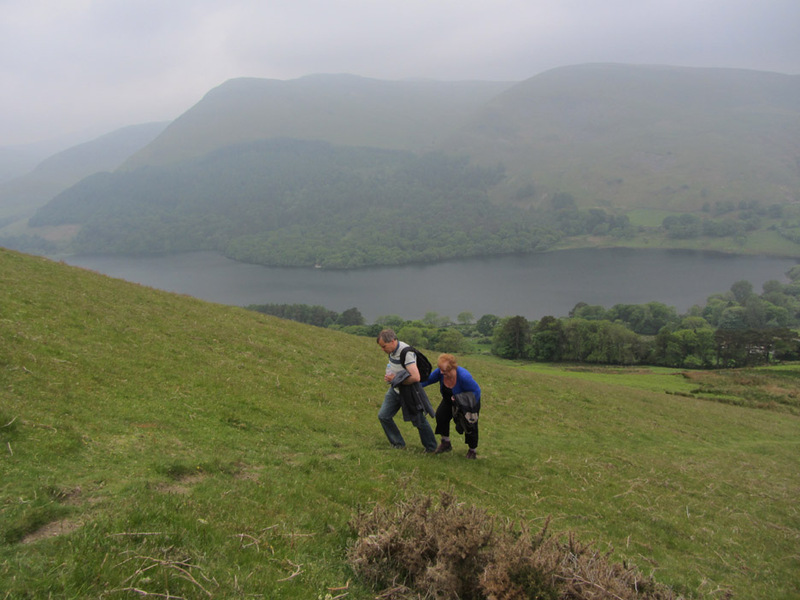 Walk details : 2 mls, 850 ft of ascent, 1 hour 40 mins. Highest point : Darling Fell, 1270 ft - 391m. 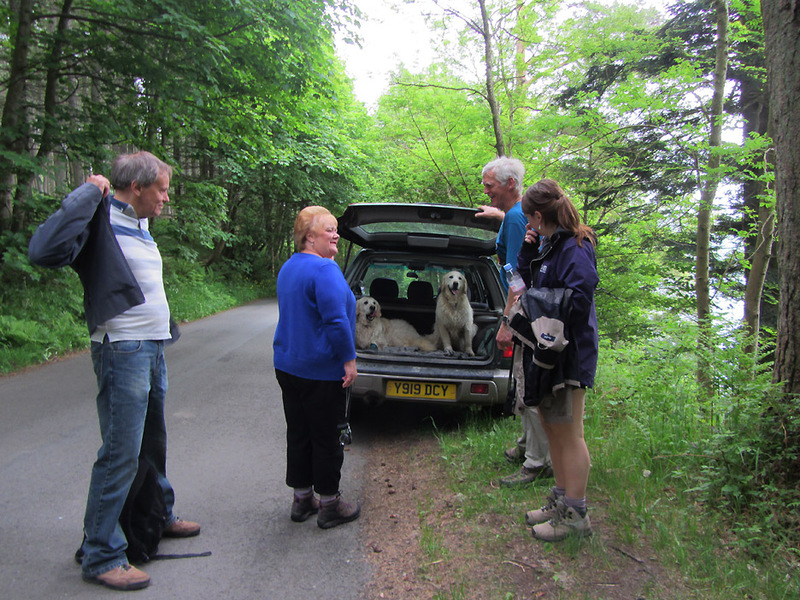 Walked with : Julie, Sophie, and Derek Willsher, Ann and the dogs, Harry and Bethan. Weather : Very overcast and just a little murky . . . but dry. 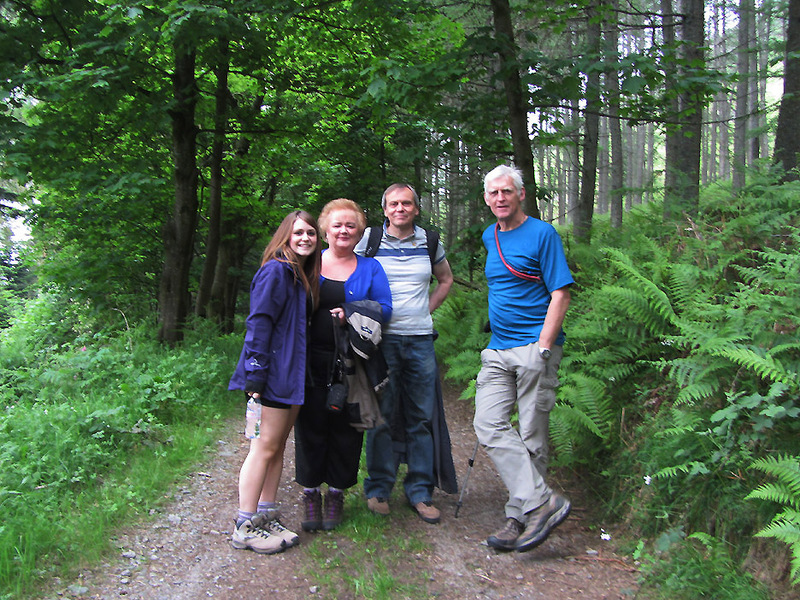 The Willsher family were up in the Lakes and emailed to say they would like to visit. We arranged really fine weather but somehow it failed to materialise. However the visit and the walk of their choice, Darling Fell, was a delight. Sophie, Julie and Derek . . . and myself at the start of the Mosser track. the long way around via Mockerkin Village. Maybe it was a quick route over the hill for those visiting the old Mosser Church. 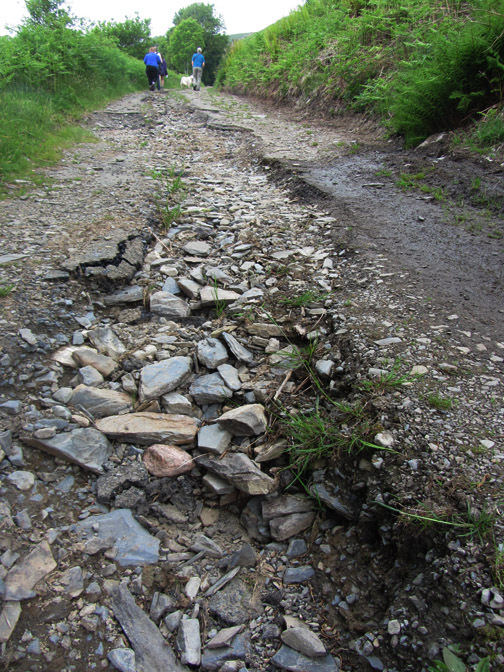 The route has deteriorated due to poor maintenance . . .
. . . so don't follow your car Gps over this one ! Part way up we took a right turn onto the footpath for Darling Fell. 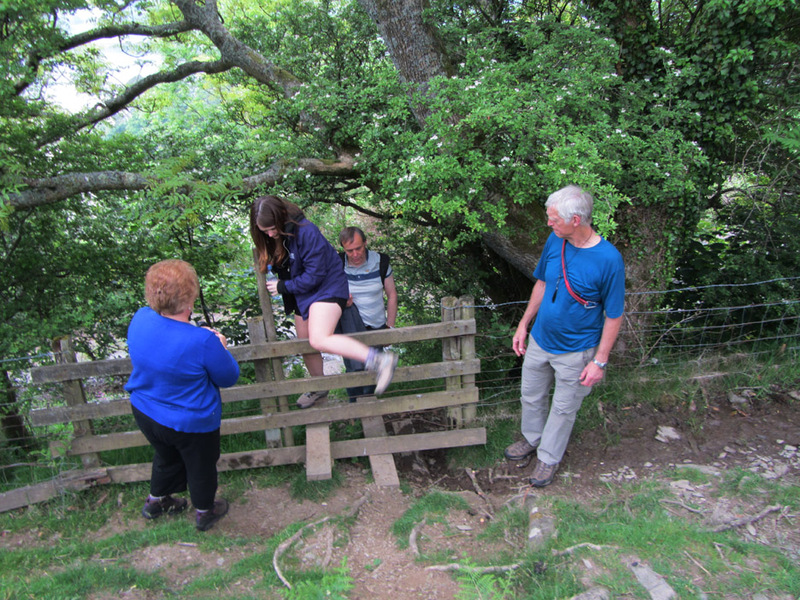 A steep set of steps and a tall stile start off this part of the off-road excursion. 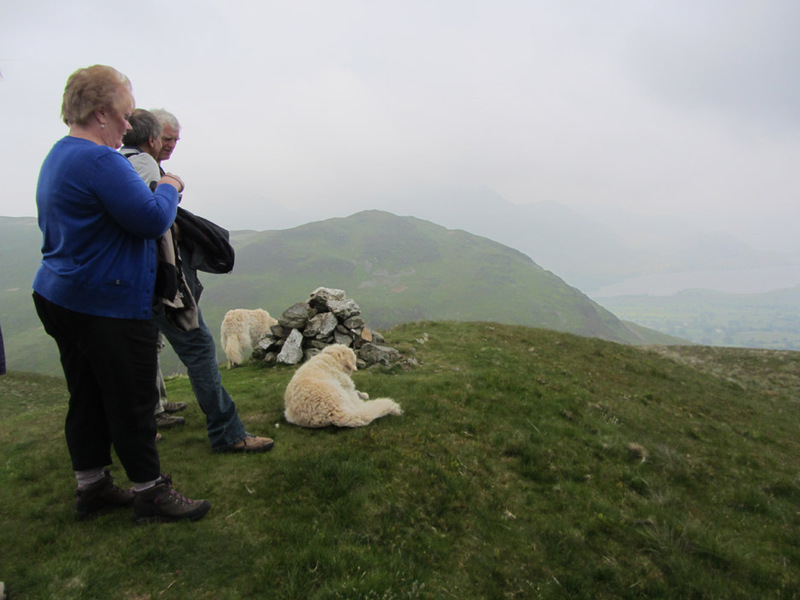 A steep ascent from the stile means the long distance views improve quickly . . . as best they could in this muggy weather. 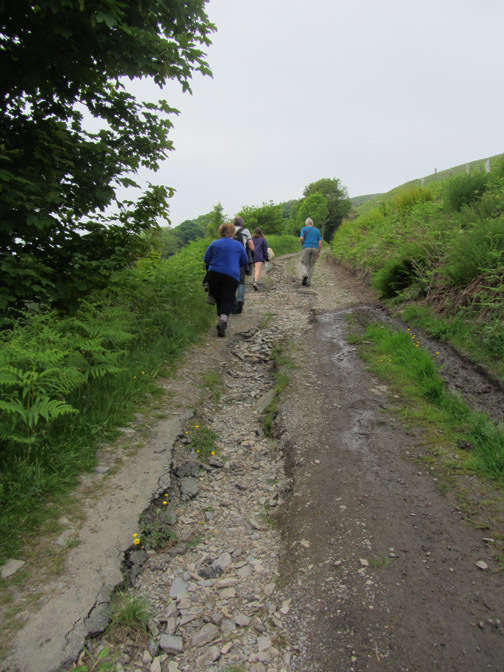 The steep ascent also meant that occasionally a little assistance wouldn't go amiss. Topping out on Darling Fell at 391m . . . 263m above the lake. With the weather like it is please check out our "previous time here" at the bottom of this page to get an idea of the views. 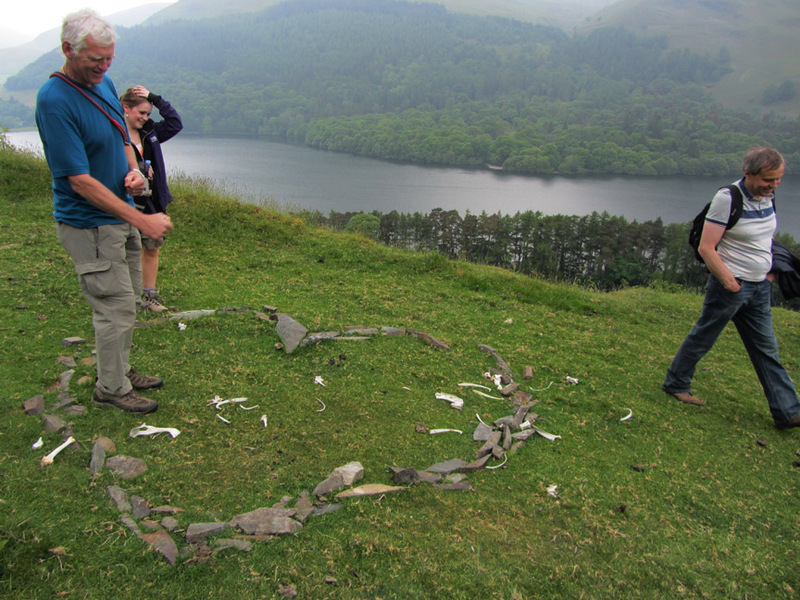 On the way back down past an old quarry someone had laid out a set of heart shape stones back in February. Hold your cursor over the picture to see it earlier in the year . . . Valentine's Day without the bones !! and state their uses when originally joined together in the body of a living sheep. Walk over . . . pack the dogs away for next time ! Now to clean all the fluffy golden retriever hair off the black trousers. Respectable once again . 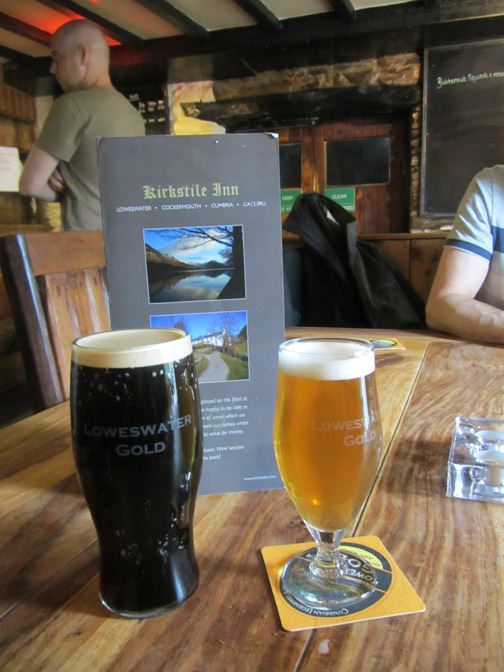 . .
Time for a little refreshment . 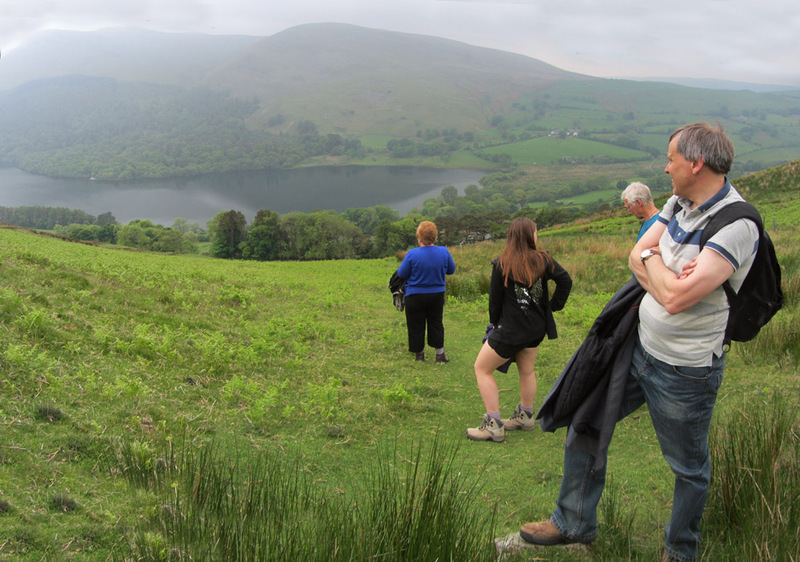 . . Loweswater style. hence the difference in colour . . . neither was actually their award winning Gold as stated on the label.! Technical note: Pictures taken with either Ann's Canon Sureshot SX220 or my Canon 1100D SLR digital camera. This site best viewed with . . .